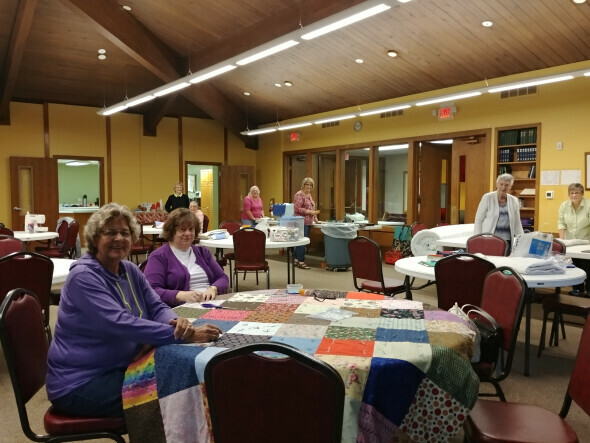 Create quilts, blankets, and lap quilts which are blessed during a worship service and then given to those in need of physical and spiritual warmth. This dedicated group of women are accepting donations of fabric, fabric scraps, embroidery thread and yarn. Please drop off your items in the bin located in the area off of the Narthex. Many thanks to the wonderful women of God who donate their time.